A new hunger strike started on Monday, 14 May 2018 followed by a thirst strike starting on Monday 21 May 2018, by the stateless Kurds from Syria, who have been protesting outside the Presidential Palace and the Ministry of Interior for a total period of 15 months. Τhe new hunger strike of the protesting refugees is a last cry of agony and despair to the Minister of Interior and calls on him to honour the pledges of his Ministry for granting citizenship to the remaining members of the refugee family. KISA is really worried about their health because it is in critical condition and is deteriorating day by day. 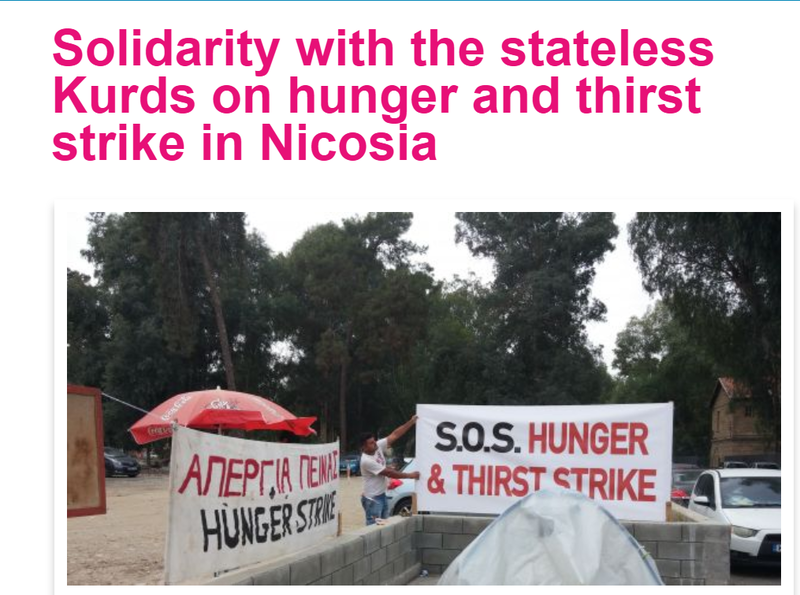 Endorse and send the appeal to the Cypriot authorities. You can find here a template for the letter of appeal in English, template of the letter of appeal in Greek or in French that each organization/person can fill out and send it to the authorities mentioned either by email or fax. A group of refugees from Syria is organizing a mobilization and protest outside of the Ministry of Interior, today Tuesday, 27 May 2014, at 10:00. 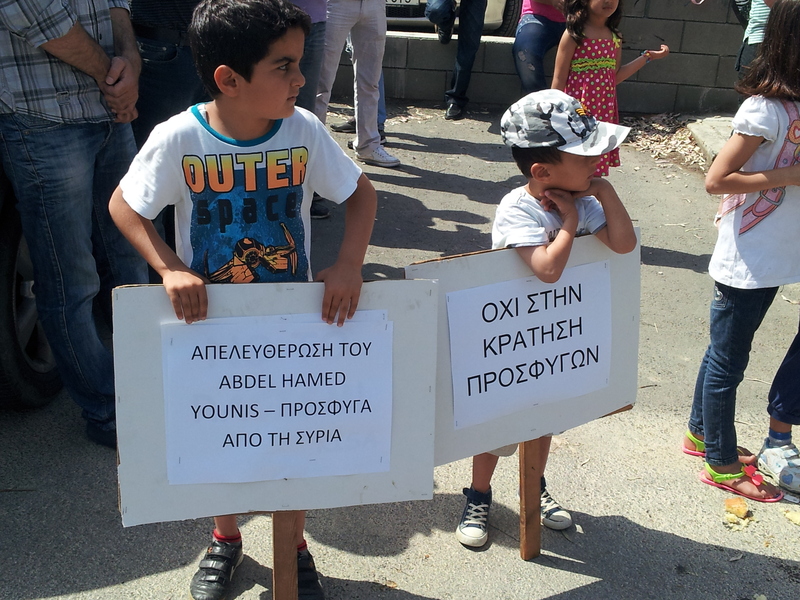 The protesters demand release of Mr. Abdel Hamed Younis, refugee from Syria, who is detained in the Mennogeia Detention Centre.